Designed by Jim Williams, the new MXL 2006 Basic Mod kit raises the mic’s sensitivity and lowers the noise floor, and upgrades key capacitors, resulting in a much more useful mic for minimal effort. For more experienced modders, the Advanced Mod Kit overhauls the entire audio circuit with esoteric parts, including bipolar transistors, FET, metal film resistors and more. 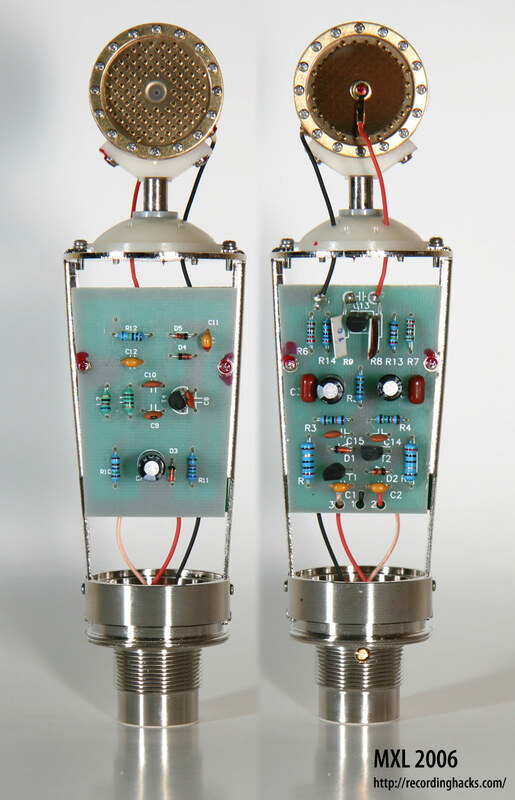 The resulting mic has better transient response, much lower noise, and much wider frequency response. 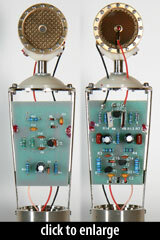 Both kits can be paired with a K47, CK-12, or K67 style capsule. The MXL 2006 is an inexpensive FET condenser microphone with a fixed-cardioid, large-diameter capsule and a transformerless, class A amplifier circuit. The capsule is a single-sided K67 copy, manufactured in China. The capsule diameter is 32mm, with a 25mm diaphragm. The back side of the capsule has a clear membrane, as is typical of Cardioid-only K67-type capsules. The frequency-response graphs for the MXL 2006 and MXL 2001 are identical. The 2006 is a good candidate for modification, due to the use of discrete components on the circuit board. It ships with an elastic shockmount (p/n MXL 06) and a hardshell plastic carrying case.